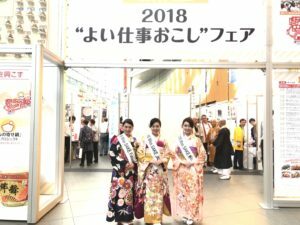 1 Asami Sudo, 2018 Miss SAKE, joined the “2018 Good Work Establishing Fair” with Miss Masayo Hori and Miss Aya Amelia Kodama, 2018 Miss SAKE runner-ups. 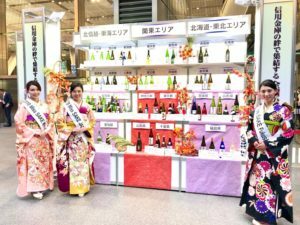 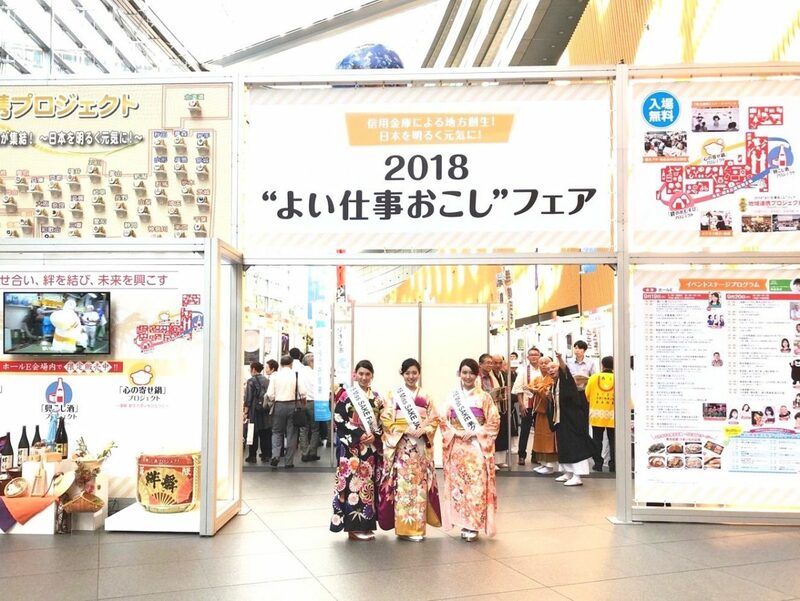 Asami Sudo, 2018 Miss SAKE, joined the “2018 Good Work Establishing Fair” with Miss Masayo Hori and Miss Aya Amelia Kodama, 2018 Miss SAKE runner-ups. 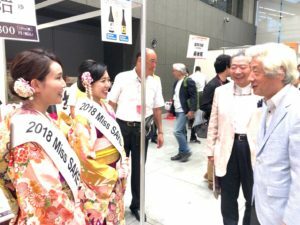 On September 19th, I joined the “2018 Good Work Establishing Fair” at the Tokyo International Forum with Miss Masayo Hori and Miss Aya Amelia Kodama, 2018 Miss SAKE runner-ups. 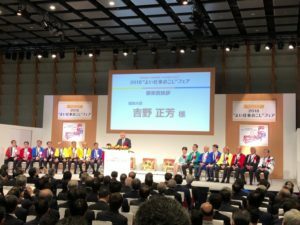 The “Good Work Establishing Fair” is a business meeting that 212 credit associations from all over Japan conducted for regional alliances and restoration assistance following the Great East Japan earthquake. 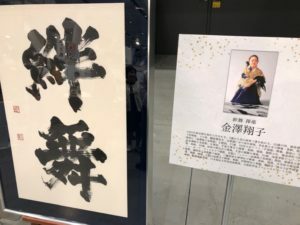 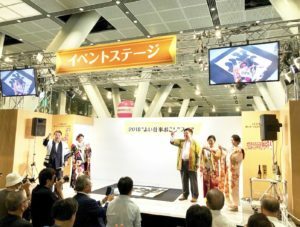 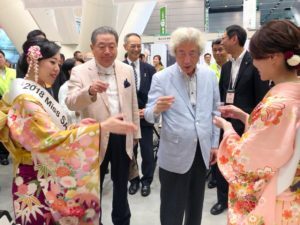 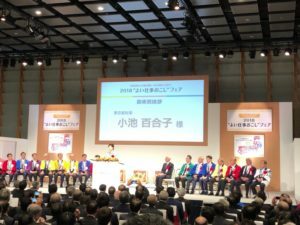 At the opening ceremony, Mr. Masayoshi Yoshino, the Minister for Reconstruction, and Ms. Yuriko Koike, the Governor of Tokyo, made speeches to wish great success of the fair. 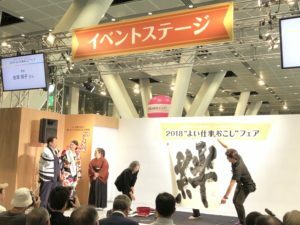 And we joined the kagami-biraki ceremony to celebrate the opening of the fair. 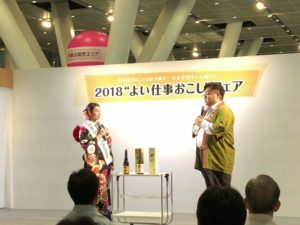 After the opening ceremony, we joined the PR event of “Kizuna-mai”, the special sake brewed for reconstruction in the disaster area. 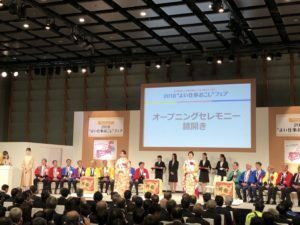 The sake was brewed from Japanese 47 prefectures’ blended rice to represent the regional cooperation all round Japan. 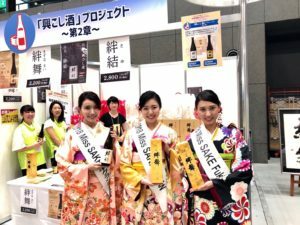 Following the event, we introduced “Kizuna-mai” at the SAKE booth. 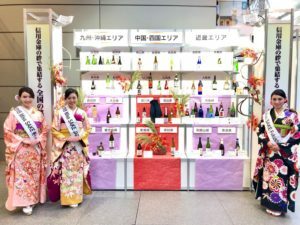 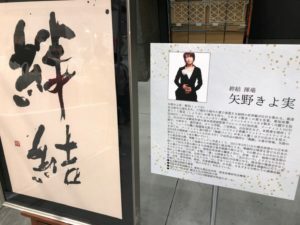 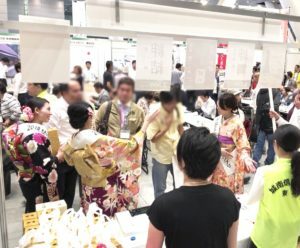 We were glad that many visitors came to the booth and enjoyed the special sake, “Kizuna-mai.” By joining the project and event, we could feel the power of SAKE to “connect people”, which, I believe, made our love of SAKE more profound. 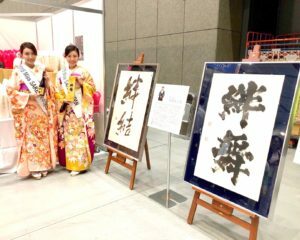 We extend our deep appreciation to all the people involved in project and the fair.